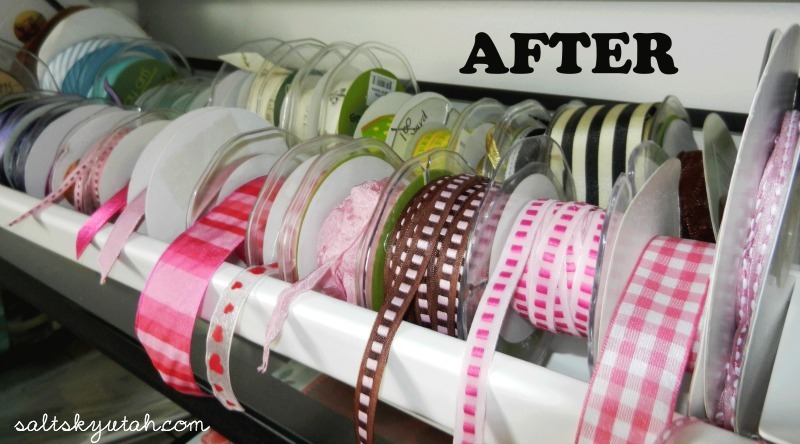 Ribbons, ric rac, and trimmings can be so tricky to organize. They come untangled, the spools come in many different sizes, and its hard to remember what you have when you can’t see them all at once. 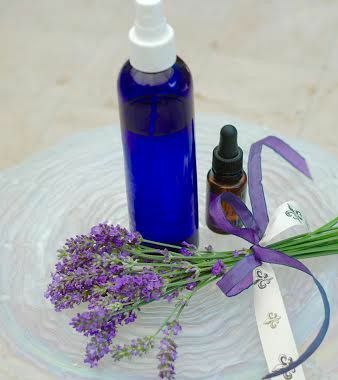 Well, I’m excited to share today’s craft tip by Katty Dowdle from the fabulous blog Salt Sky Utah! 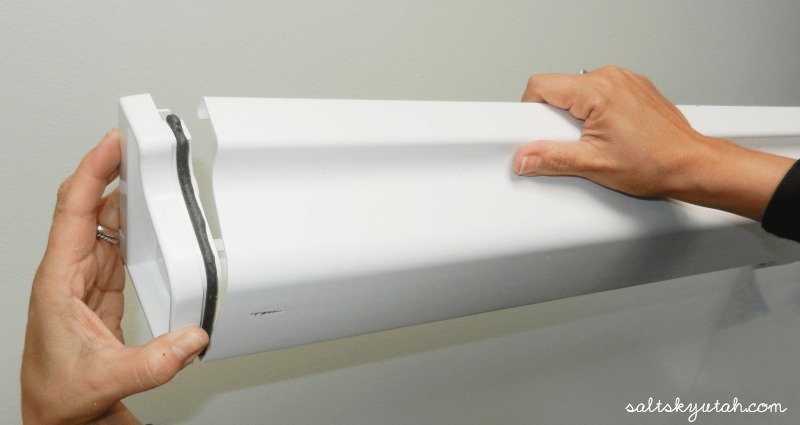 She turns a rain gutter (yes, a rain gutter!) 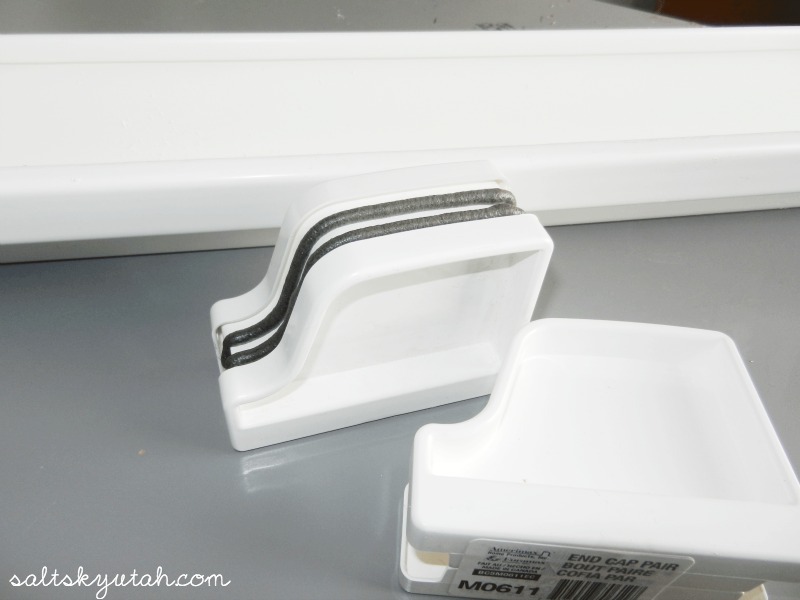 into a ribbon holder in a few simple steps. Takes less than a minute to assemble the raingutters and caps together. Attach to a wall with hardward or set on a shelf. 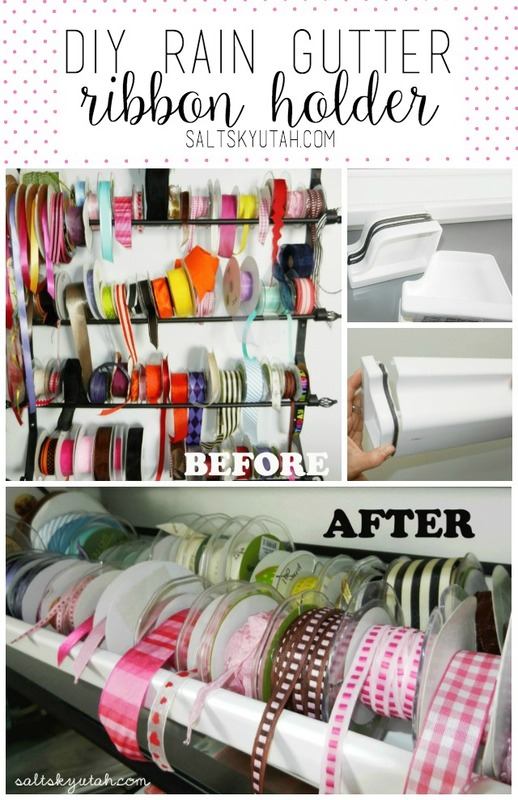 Each shelf holds about 35 bolts of ribbon and measures 58″ each. 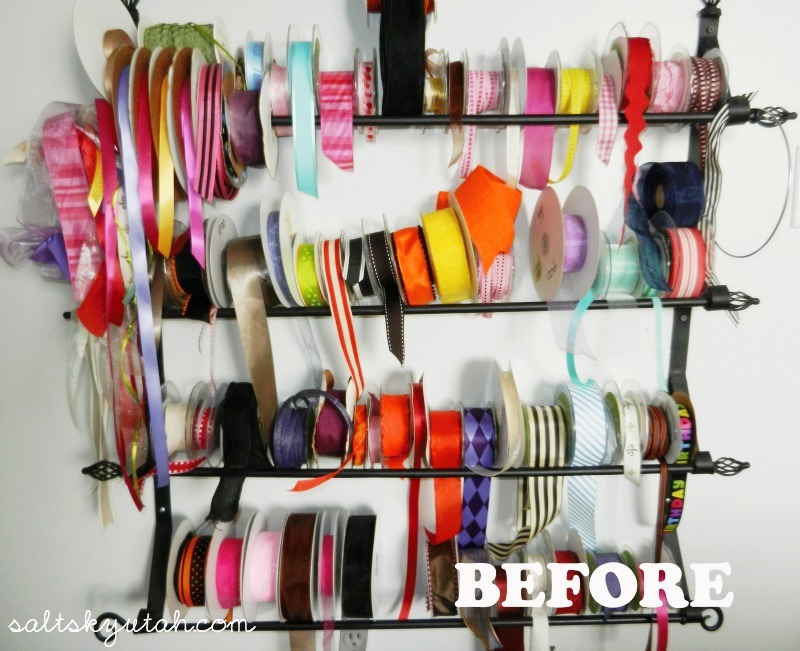 Now display your ribbons so you can see exactly what you have…and you no longer have a tangled mess! Next Post: 23 Fat Quarter Tutorials by 23 Amazing Bloggers!